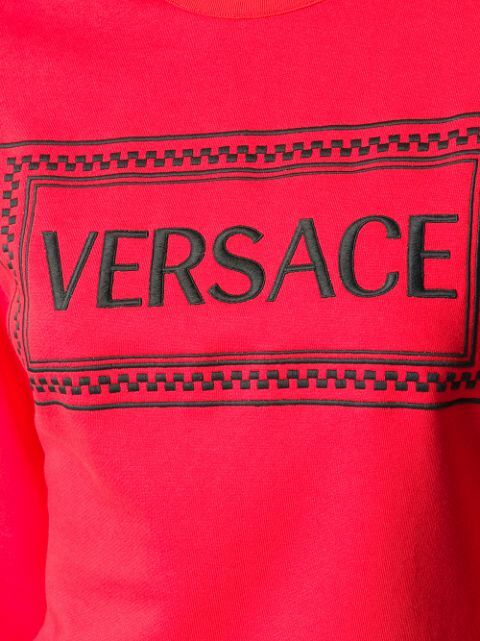 For her Autumn/Winter 2018 collection, Donatella Versace nods to the opulence and glamour of the 80s. The designer also continues to pay tribute to her late brother Gianni, through instantly-recognisable motifs and archival prints. 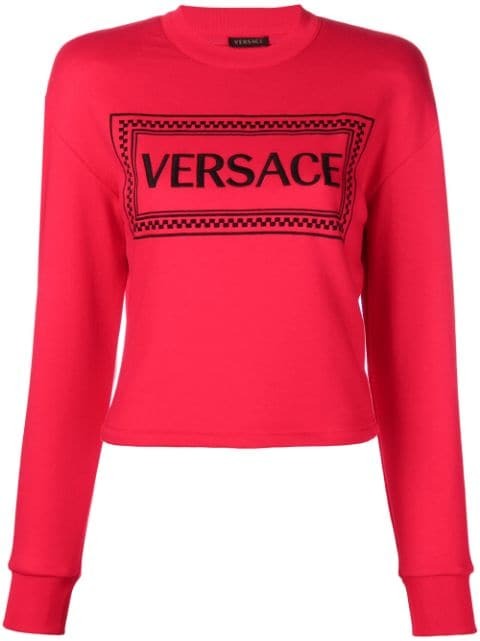 Crafted in Italy, this red cotton Vintage 90s logo embroidered sweatshirt from Versace features a crew neck, retro-inspired padded shoulders and long sleeves with fitted cuffs.